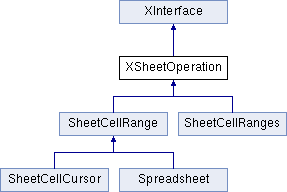 provides methods to execute operations on a cell range or ranges. clears the specified contents of the current cell range(s). nContentFlags a combination of CellFlags flags selecting the contents to be deleted. computes a general function based on all cells in the current cell range(s). nFunction is the function used to compute the result.